won't be hurting my eyes at all. boo to that, because i've actually started to get the hang of it and my form is coming along nicely. i just don't know how ruth asawa does it. 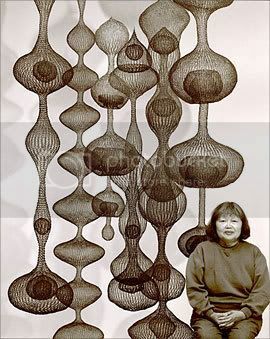 i love ruth asawa. i saw her stuff at the de young a while ago, it was amazing.